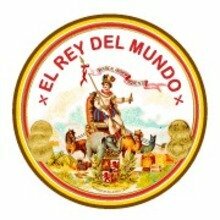 The El Rey del Mundo Robusto Larga is a thick Toro-sized premium cigar with a licorice-black oscuro wrapper that is oozing with oiliness. 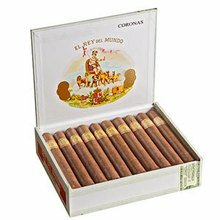 Dark chocolate, coffee, sweet spice, and caramel flavors comingle for a full and velvety-smooth smoking experience that makes this one of the most sought after smokes in the whole El Rey del Mundo line. Packaged in a pack of five cigars. 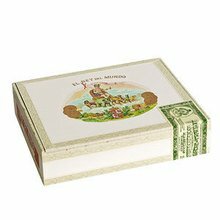 Your bid for boxes of Robusto Larga at $ per box is confirmed and will be added to your cart if your bid is successful.